At Hagan Hamilton, our mission is Solutions. Whether we are consulting on insurance options, assisting with a claim, or helping our clients navigate the complex tapestry of insurance carriers – we’ve been providing thoughtful solutions to our community for over 100 years. As an independent agency, we aren’t beholden to any one insurance company – and in fact, we partner with more than 100 carriers to find the very best coverage options for our clients. Need help with Business Insurance or Employee Benefits? No problem. How about Home & Auto Insurance, Life & Health Insurance, or Flood Insurance? We’ve got you covered – literally. Hagan Hamilton is prepared to handle all of your insurance needs. 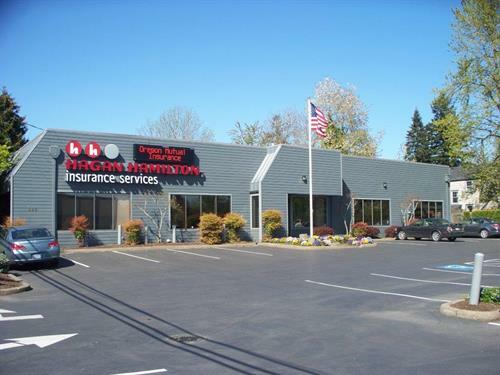 Founded in 1910, Hagan Hamilton has grown to be one of the largest independent agencies in the state – with offices in McMinnville, Newberg, St. Helens and Sheridan. Our friendly staff of more than 50 insurance professionals are proud to serve over 12,000 clients throughout Oregon. 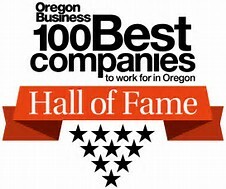 We are proud to have been inducted into the Oregon Business ''Hall of Fame'' after being recognized numerous times as one of Oregon's 100 Best Companies to Work For. To learn more about how Hagan Hamilton can bring peace of mind to your auto, business, employee benefits, life, and health insurance, visit our website at HaganHamilton.com. Our McMinnville office is located opposite Walgreens on Baker St. Head north on 99W/Baker and turn right into the office. Head south on 99W/Adams and turn left after Walgreens onto Baker.